Preschool rocks. I wish I could go to preschool. Potato prints, seed sprouting, snacks, built-in friends, hand painting, paper cutting, using brads to make moveable paper parts: pretty much a miniature utopia right there. When Divine and Pearl were preschool age, I decided that they didn't need it. I thought that I wanted to spend as much time with them before I sent them off to be schoolgirls. They were fine, I was fine, they do marvelously in school. But. (you knew that was coming) Some personalities just crave social settings. Clover adores having "assignments" and going to school. When my mom and I dropped her off the first day, it was like she was vacuum sucked into the room, already beginning her chatter to her teacher about the apple she decorated. All the preschoolers were given a paper apple to decorate. Clover got the red and green markers out, used both. I thought she was finished, but then she came to me and said, next I need the glitter and the feathers. That girl. Is she her mama's detail girl or what. Unfortunately we didn't have feathers, but fortunately I made good on the glitter. Each week they focus on a different letter. 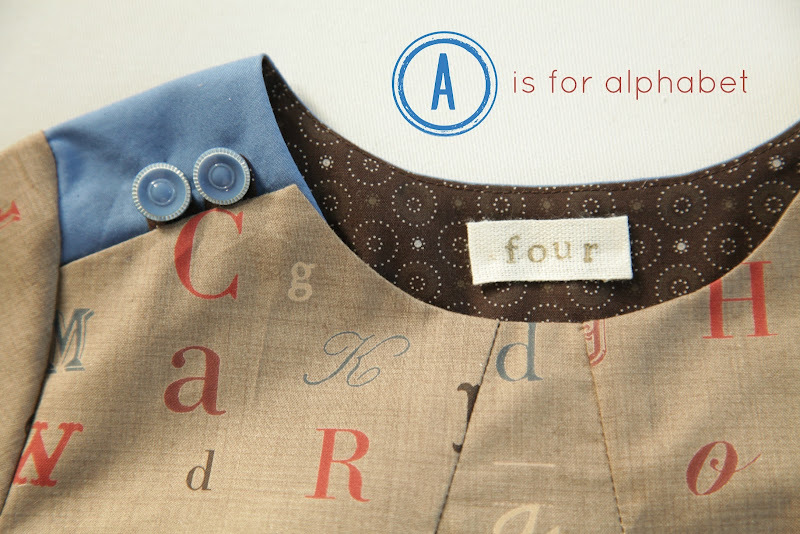 And because I love a good theme (oh, how I adore a good sewing theme), we're going to alphabetize-up her wardrobe each week to reflect the letter. Am I going to have more fun than she is? 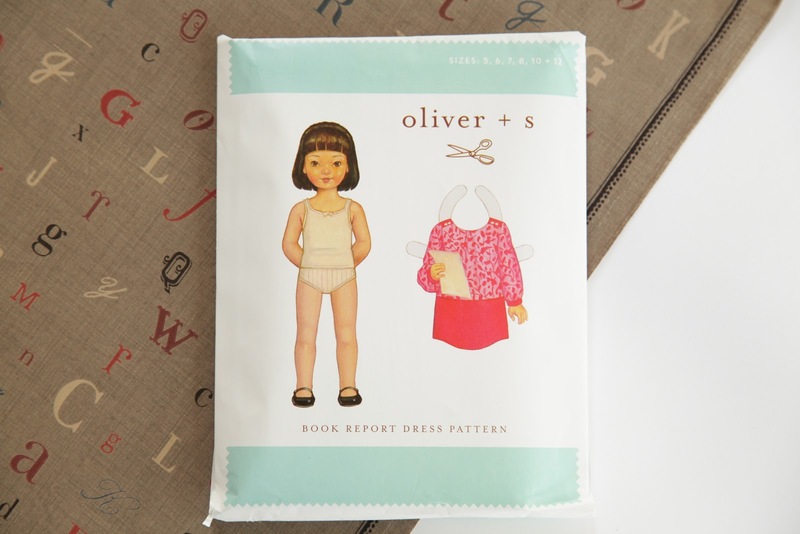 Oliver + S just came out with their Fall line of patterns and you're going to see them pop up here (they have a new boy one! ), but I started with the Book Report Dress for Clover's A is for Alphabet dress, and it's relatively simple (rated 2 out of 4 scissors). The curved hemline, the pleats in the front (and the back, but somehow I failed to get a photo of the back before scooting her off to school! ), the bias button loops, the front invisible kangaroo pockets (like the ones on Pearl's shorts!). The front pleats looked so neat and tidy with the stitching that I left it in instead of just basting. I added piping between the two colors because I just can't help myself. A little hint: if you want to add piping, add it to the bottom half before you do your pockets. 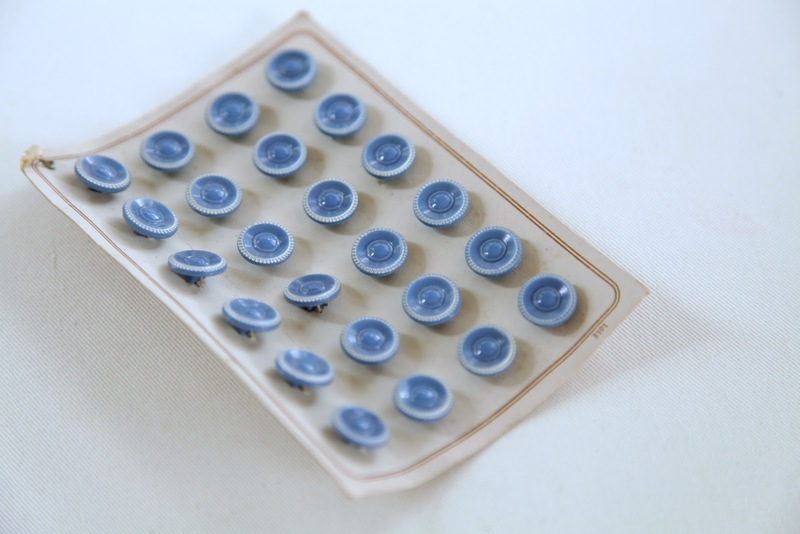 I almost couldn't bring myself to cutting these cornflower blue antique glass buttons off the card. Almost. As non-committal as I am, this is going to be huge to get through the whole alphabet, but I think it will also help Clover to get excited about her letters. lots and lots of buttons! Clearly B is buttons and Z is zippers. But you knew that! Hmmm, pockets for P, rick rack for R. This really is fun! I was thinking B is for Bees buzzing all over the garment. Fun hand embroidery if I were making it. Kind of a lot of work, but I was thinking B is for Blazer. Little preschooler-sized blazer? With some kind of contrasting lining and lots of pockets? Cute, yes? and something with a crowns for Q = queen. j could have a cute jack-in-the-box. This is so fun. May I help? Seeing the comments, I hadn't even thought of buttons. I thought B is for BOWS. Don't forget you can work in the colors too. B for blue, O for orange, etc. I know the school my kids go to does a letter each week and the younger kids do a color each month. 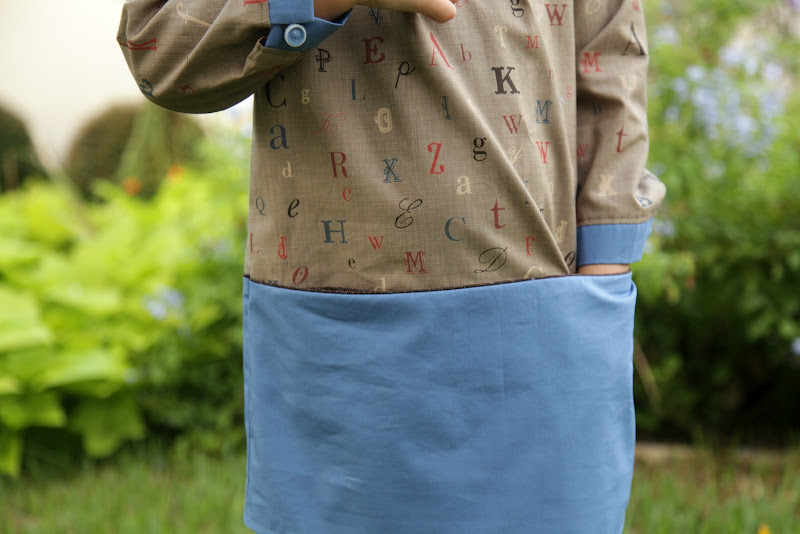 What if you find an alphabet set of buttons (or make one), and add the letter of the week along the hemline? for B you could use buttons to applique a B onto a blouse...or maybe a fun pair of shorts with a button B on the back pockets? Overalls for O, of course! etc. Can't wait to see what you come up with! A garter...how fun! Gingham too. Gathers? Gloves? Ha! That was surprisingly addictive! Have fun. Can't wait to see what you come up with! Lovely dress! My daughter is in preschool too and they started the year with colors before switching to letters and today was green day and she didn't have much green so I HAD to sew a green dress yesterday! It is a sickness! Can't wait to see what you come up with for the other letters! Love that dress! I have been wanting to order that Oliver and S pattern. I think I am going to commit! B is for boat neck or just plain boat...she'd love a sailor dress, right?! Maybe with the new Out To Sea Fabric. I haven't had the guts to cut into mine yet, but I'd love to see what other people make with it. It's funny how we are scared to use our vintage finds (buttons and fabric). If we never use them, they're as good as non-existent! Beautiful details as always. How about when you get around to it, your family seem so musical (or at least i like to think they are ;) ) so why not X for xylophone.. You could combine your love for stripes in that one! One of my nieces just started kindergarten and they're doing something similar. Such a fun idea. J for Jacket maybe? If it's cold enough, she might not be able to wear all day tho. Q for Quilt? Do a patchwork dress/skirt? overlay? or that weird/too loose of an interpretation? I'm stopping myself. So fun. P R E S S U R E ! How about E for elephant? MODA BUNGLE JUNGLE has an adorable elephant fabric! I love all the suggestions! I think everyone else needs to play along! Wow! So many interesting suggestions! Can't wait to see your creations Katy! Where did you find this cute fabric? The Prudent Homemaker--It's a French General for Moda fabric I bought at The Grey Fox in Boston, but google it and I'm sure it's easy to find at any major online fabric store. 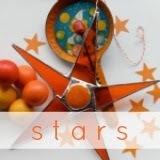 What an ambitious and fun project! I love the idea. You putting yourself at quite a pace! My suggestion is that you sell all of these alphabet outfits in your etsy shop a week after you feature them on your website! I imagine that they won't all be as dramatic as the beautiful dress (!!) but I bet these will fly off your virtual shelf. Sign me up to purchase whatever you whip for J. 3 year old Josephine will love it. 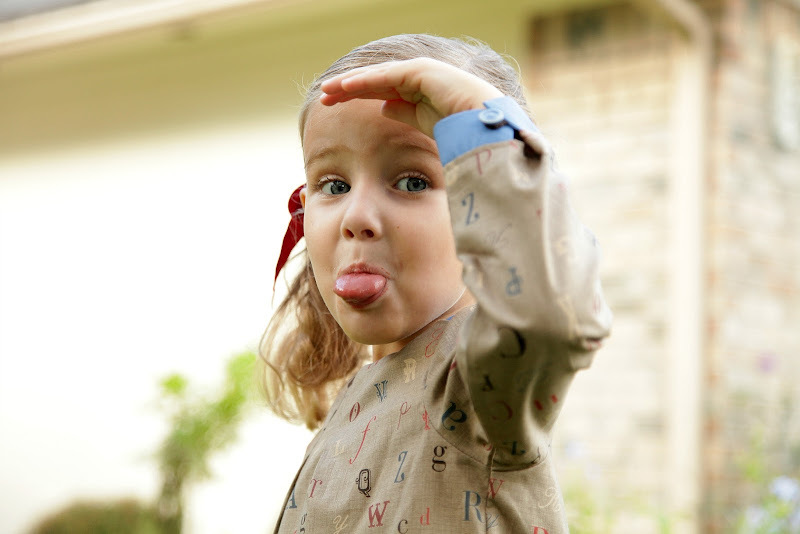 That alphabet fabric is AMAZING! So are you! I can't wait to see what you come up with!! What a lucky girl! Her wardrobe is going to be amazing! first thing that came to my mind: b for buckle. can't wait to see the rest. but you're right. that's HUGE! good luck! I think you should do baby brother for b! Pick something that inspires her about her brother or a clothing piece that is Drummeresque...not a real word but you know what I mean! C should be for Clover- something that is a favorite of hers. D for diamonds. E for elephant. F for...ooh fog-maybe something San Francisco Bay themes. Eek! Good luck! I made my daughter a shirt with a large "M' appliqué and then the words "is for Meredith" embroidered under it. You could do a "C is for Clover" shirt/dress.